Summer heat can take a toll on turf, especially if your Bettendorf lawn care program falls short. 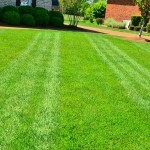 If you mow too low, water too much or too little, or ignore early signs of grubs, your grass could quickly become sad looking or even completely die in small or large patches. 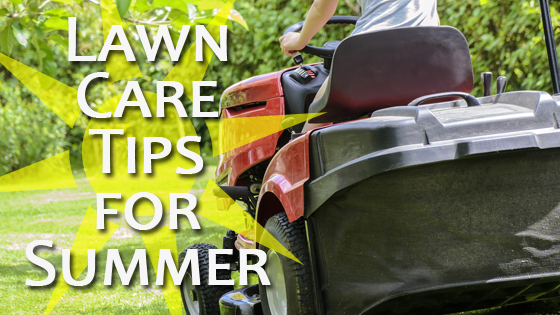 Keep your lawn looking its best all summer long by mastering these 9 summer lawn care tips. In summer, adjust your mower height to leave grass taller. Taller grass shades the soil, which reduces water evaporation, leads to deeper roots and prevents weed seeds from germinating. The ideal mowing height for Bettendorf, Iowa is 3 – 3 1/2″ tall. Time your mowings so you’re never removing more than one-third of the leaf surface at a time. 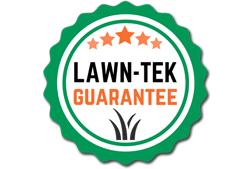 For the healthiest grass, water your lawn deeply and infrequently. The best way to water your lawn is twice per week with approximately 1/2″ of water each time. This should take around 15-20 minutes, depending on your sprinkler. You can also use a rain gauge to determine how much water your lawn has received. 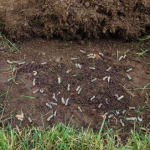 Grubs feed on the grass roots, so lawns that are damaged because of grubs will show wilting and browning in an odd-shaped area. Always check the root zone of affected areas to look for the white, c-shaped grubs. You should also closely monitor the lawn as summer advances and be ready to act if grubs start to appear. Watch for grass areas going off-color and just starting to brown, particularly in areas that have been irrigated and have no other reason for turning brown. 4. Clean up after Fido. The family dog can cause dead spots on a lawn. If you see dying grass due to your dog’s urination, flush the area with water to dilute the urine in soil. A great solution to this problem is to create a mulched or pebbled area and train your dog to use that area when he has to go. Also, be sure to keep waste picked up and dispose of it properly. Driving or parking on the lawn is never a good idea. It leads to soil compaction, which can cause a host of other problems, including dead grass. During drought or times of excessive heat, it’s even wise to limit foot traffic on grass to avoid damaging turf crowns. If soil compaction occurs, you will want to have your lawn aerated to bring it back to life. 6. Sharpen your mower blades. When keeping on a regular mowing schedule and only cutting 1/3 of the length of grass leaves at a time, all those clippings are good for your lawn. Grass clippings act as a fertilizer because they decompose quickly and release nutrients back into the soil. However, you should consider bagging it with your mower as excessive amounts of clippings due to mowing when the grass was too long. 8. Pick up the lawn. Summer activities can result in toys, water games, lawn chairs or tools being left on turf. Avoid harming – or even killing – turf crowns by putting away gear after use. Leaving your summertime gear on the lawn can also cause soil compaction. Clean up when you’re done to prevent killing the grass. Deal with weeds as they appear throughout the growing season. 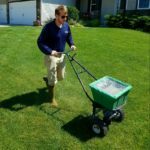 As the weather gets warmer in Bettendorf, Iowa, conditions are becoming optimal for weed growth in your lawn. Keeping a regular fertilization program throughout the year will also help keep the weeds down. Lawn care can be an overwhelming task! We’re here to help you tackle your lawn care and keep it looking lush and beautiful year round. 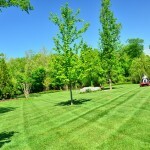 Contact our Bettendorf lawn care experts for a free estimate.